Have you ever tried home ingredients for skin and hair? But most of them never had the chance to know about the rice water, which is rich in nutrients. 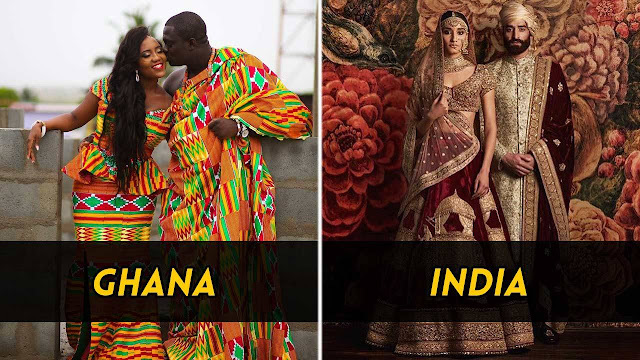 Most Indian states have rice as their staple food, and owing to their easy availability, a lot of them have constructed a glorious beauty regime revolving around rice. Rich in vitamins B, C and E, about eight essential amino acids and minerals, rice is a miracle grain in promoting overall health and beauty. Have you ever tried home ingredients for skin and hair? But most of them never had the chance to know about the rice water, which is rich in nutrients. Most Indian states have rice as their staple food, and owing to their easy availability, a lot of them have constructed a glorious beauty regime revolving around rice. Rich in vitamins B, C and E, about eight essential amino acids and minerals, rice is a miracle grain in promoting overall health and beauty. Rice water is the suspension of starch obtained by draining boiled rice or by boiling rice until it completely dissolves into the water. Depending on your use it can be diluted, concentrated and fermented too to derive maximum benefits. 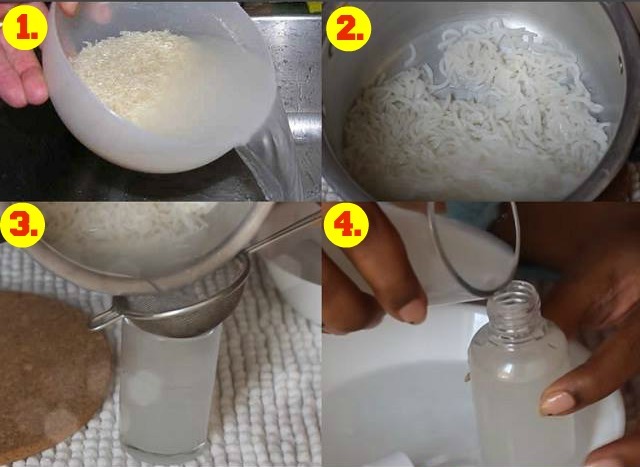 But the best thing about rice water is that it is a straight-fit DIY beauty product that can be readily used. 1. Take a cup of rice and thoroughly rinse it with water. 2. Cook the rice in a deep saucepan uncovered with 3 cups of water. 3. Once the rice is cooked, strain the rice water into a clean bowl. 4. Now let the rice water come down to room temperature. Pour it out into an airtight container. By refrigerating it you can use it for up to one week. 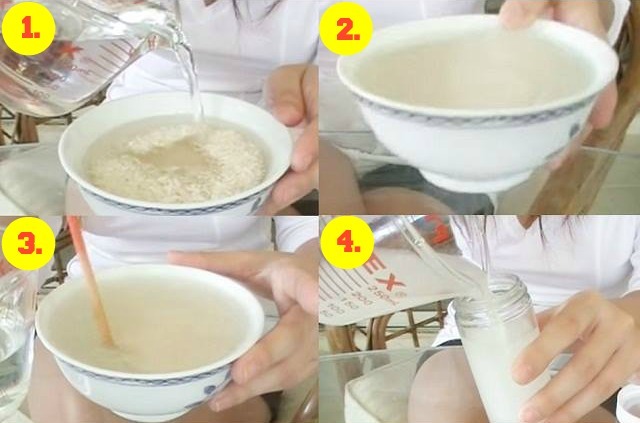 Dilute 2 tablespoons of the rice water with 1 cup of fresh water. Stir it well to get a milky-looking concoction. Now you can use it as a face wash to even to wash your hair. Repeatedly using rice water for a few weeks on a regular basis can give you smooth skin and glowing hair. 1. Take a cup of rice and add to it 2 cups of water. 2. Allow it to steep for about 30 minutes. 3. Stir the mix properly and strain the water into a fresh bowl. 4. This too can be transferred into an airtight container and refrigerated. You can use it for about 4 days. But make sure to shake it well before use. There is yet another way of doing this: let the rice water remain at room temperature for 2 days to let the fermentation process kick in before putting it in the refrigerator. When you use this fermented rice water you will have to dilute it with plain water in the ratio of 1:3, and then it is ready to use. Kiss a final goodbye to chemical-based cosmetics on the market. 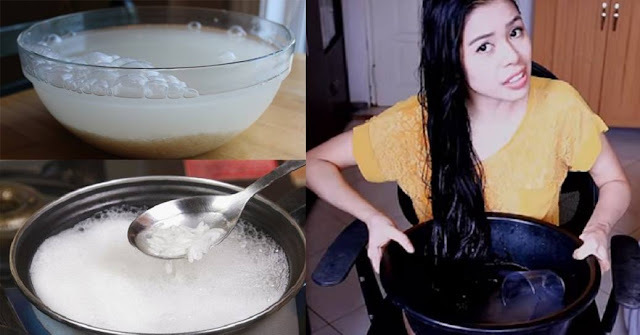 Use this most organic ingredient and enjoy great skin and shiny hair in a matter of weeks. Worth trying, we say. Amazing results!